Spirit-Anointed Teaching Materials designed to strengthen ALL teachers including parents, Sunday school teachers, cell group leaders, pastors and educators in every field! These materials will give you the tools to become a Spirit-anointed trainer! EVERYTHING you need to internalize this message! Teaching is to be a time of experiencing God and sensing the life of the Holy Spirit. Learning is to be much more than a study about God. It is to be an encounter with God. These materials teach you how to make every training experience an encounter with the Lord, where each learner receives revelation and impartation from the Holy Spirit. Provide whole-brain learning which also incorporates the heart. Constantly deepen spiritual intimacy between the learner and the Lord. 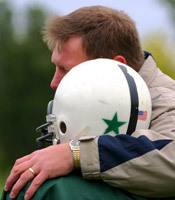 Communicate and teach with emotion, passion and anointing. Ask the right questions to stimulate anointed discussions. Take students into a Bible story to LIVE the story and encounter God! What were Einstein's comments on Western education? What is God's definition of "knowing"? What does God say is our goal as we teach? Why are there 1400 verses on "heart" and "spirit" and only 100 on "mind"? What does God say is the role of the heart and mind in knowing? How do we "reason together with God" (Isa. 1:18), practically speaking? Why did Watchman Nee say that "pictures are the Holy Spirit memory?" What is God's prescribed system for discovering truth? What are some practical ways to be a Spirit-anointed teacher? How do we ride the wave of the Spirit as we lead an anointed discussion? Let’s do it right! Learn to draw people into encounters with the Holy Spirit! The DVDs and CDs correspond with the LEARN Spirit-Anointed Teaching notebook. For maximum growth and internalization, we recommend utilizing it along with either the CD or DVD set. One LEARN notebook for each individual in the group is recommended. The LEARN notebook provides an outline to follow as you watch the DVDs or listen to the CDs. Also included are application exercises and classroom activities. Each family should have one copy of Experiencing God Together which provides additional resources for personal meditation during the week. For maximum results, draw together some friends into a home group or Sunday school class and watch the DVD sessions over a 3-week period or as a weekend seminar. The DVDs bring an anointed trainer to your group, and your interpersonal sharing gives you instant feedback and confirmation that you are understanding the steps necessary to become a Spirit-anointed teacher. Secrets of World-Class Teachers Package Includes ALL These Amazing Resources! People come to small group meetings expecting and fearing many different things. Some expect a boring lecture. Some hunger for riveting interaction. Some fear a couple of people monopolizing the entire evening and going off on a tangent. This book teaches how to turn small group meetings into times of dynamic sharing of revelation concerning the real life issues we face daily. It addresses how to get everyone involved, how to limit the naturally talkative, and how to keep things on track. This book will lead you into learning how to make small group meetings "experiences" rather than simply "studies." Discussion questions and action exercises are found at the end of each chapter. This is recommended for parents, small group leaders, pastors and teachers. You will learn how to create a revelation-based learning experience. The CDs are ideal for repetition and review as you drive, work or exercise. Hearing Mark teach this series releases an impartation, revelation and spiritual understanding which, if internalized, will completely transform your life. Mark shares his struggle and story in an honest and down-to-earth way that relates to every listener. Every time you review this series the Holy Spirit reveals more to you. Do yourself a favor and listen to them over and over until the revelation is complete. Rushing on to another topic without internalizing this truth does not result in cultivating Christian spirituality. The DVDs are ideal for focused learning with the LEARN Spirit-Anointed Teaching notebook and for use in classroom settings. They are identical in content to the CDs. For maximum results, invite some friends into a home group or Sunday school class and watch the DVDs together. Discuss and practice the principles of Spirit-anointed teaching and share your results together. The DVDs bring an anointed trainer to your group, and your interpersonal sharing gives you instant feedback and confirmation that you truly are improving as a Spirit-anointed communicator! An unbeatable combination. The Spirit-Anointed Teaching CDs and DVDs are the perfect training in this new teaching style, with Mark Virkler exemplifying it as he teaches you exactly how to do it yourself. “Also it shall be, when he sits on the throne of his kingdom, that he shall write for himself a copy of this law in a book, from the one before the priests, the Levites. And it shall be with him, and he shall read it all the days of his life, that he may learn to fear the LORD his God and be careful to observe all the words of this law and these statutes, that his heart may not be lifted above his brethren, that he may not turn aside from the commandment to the right hand or to the left, and that he may prolong his days in his kingdom, he and his children in the midst of Israel” (Deut. 17:18-20). The LEARN notebook also gives you an opportunity to easily preview and review the teaching. None of us catches everything the first time through and as you review it several times, you will pick up things you did not hear before. More truths will begin to "click" and more lights come on! This process of repeated review results in greater revelation and greater personal transformation. Jesus urged us to cultivate and give attention to new ideas being sown in our hearts until they bear a crop of 30, 60 or 100 fold (Matt. 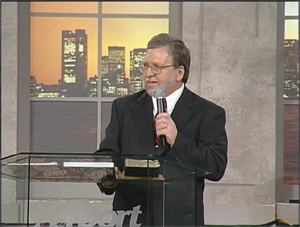 13:18-23). So listen, review and focus until God has granted you personal revelation and transformation! Anything short of this causes the seed to be aborted and die. Hearing without doing is a waste, the Bible says (James 2:17). Application exercises are included in the LEARN notebook for class times and for increasing personal revelation at home. Hearing a truth is one thing. Letting God speak to you concerning how to apply it in your life is another. These Application Exercises will give you the opportunity to seek God and ask Him what He wants to say to you concerning the truth, and how He wants to see it applied in your life. This is exactly what you need to hear and act upon. This is spiritual growth and development. Please review our short article on "How to Cultivate Christian Spirituality." Suggestions for group activities which promote seeking God together and a lively interaction where people are encouraged to share the revelation they are receiving are also included. This helps avoid lecture which can easily become boring. The activities are well designed so people are not just "spouting off" and sharing ignorance but instead are sharing together what God is revealing to them. Containing thousands of Scriptures examining how God says we are to discover truth. The presence of, and the belief in, the voice of God within the heart of the Spirit-filled believer requires that education train students how to sense the Spirit of God in their hearts rather than how to reason critically on their own. If God has ceased speaking, then fine, let us learn how to use our minds ourselves. But if God still is speaking, then let us allow God to fill and use our hearts and minds, not we ourselves. When man uses his mind, it is a dead work (Heb. 6:1,2). When the Spirit uses it, it is a living work of God. Satan's temptation in the Garden of Eden was that man could eat from the Tree of Knowledge of Good and Evil and know truth, without taking the daily walks with God and receiving divine revelation (Gen. 2:17; 3:5). However, this is a lie. As you will see, the Bible states over and over that man's knowledge, man's understanding, and man's wisdom are diametrically opposed to God's knowledge, God's understanding and God's wisdom. The Bible calls this a "spirit of knowledge", a "spirit of understanding", and a "spirit of wisdom", obviously things birthed through the Spirit. Man is to yield his heart and his mind to the Holy Spirit, the indwelling river of God - which is sensed as "flow" (Jn. 7:37-39). This will result in receiving anointed reason, words of wisdom, words of knowledge, prophecy, discerning of spirits, faith, healing, tongues, and miracles. Education must teach man how to sense his heart and how to receive God's spirit of knowledge, wisdom and understanding by living tuned to His indwelling Holy Spirit. This is living as Adam and Jesus did, and living as God intended man to live. This is why the Bible has 1400 verses on heart and spirit and only 100 on mind! The goal of education is stated in 1 Timothy 1:5. It is love from a pure heart, a good conscience, and a sincere faith. These are all heart experiences, not mental exercises. And these are exactly the heart experiences which are required for us to come through the veil into God's presence and receive His voice, His wisdom, His anointing, His dream, and His vision (Heb. 10:19-22). This is a guided self-discovery workbook. Over 5,500 verses form the base of this manual! It lays out a Spirit-anointed epistemology (the theory of knowledge) requiring an educational paradigm shift from rationalism to revelation knowledge. Sound doctrine. Correct theology. Sounds easy. Seems like if I would just apply my mind, I could establish sound doctrine and keep myself from heresy and error. And that is exactly what I did for many years, until God stopped me in my tracks, and challenged me to look up every verse in the Bible on doctrine and theology (15 in the NASB and 37 in the NKJV). Wow! Was I in for a surprise! You will be, too, as you go through these verses with me in this book! Sound Doctrine Through Revelation Knowledge Demands a Hearing Heart! You will find seven characteristics of sound doctrine and seven characteristics of the doctrine of men. You will look up with us all 15 verses in the NASB that have the word "doctrine" in them, and you will prayerfully meditate on them, mulling them over, asking God to show you why half of them warn against doctrine, what it is exactly that makes a belief man's doctrine and wrong, and what makes a right doctrine. How exactly does one go about establishing true doctrine and not man's doctrine? You will explore the idea of man reasoning on his own versus man reasoning together with God (Isa. 1:18). What exactly is the difference, experientially (inside you)? What is the implication for Schools of Ministry and Bible colleges? What is the difference between Western study and biblical meditation? Which one do you do? What is the lamad method of learning? What exactly is the role of the Holy Spirit and Spirit-anointed teaching in the establishing of sound doctrine? What is the role of the heart? Do you know? You will be given much to ponder and pray about. God will have to be the Revealer of these truths to your heart. He will. All He asks for is a listening heart. Lord, we pray Solomon's prayer, "Grant me a hearing heart" (1 Kings 3:9-12; Ps. 119:18; Eph. 1:17-18). What is the Role of Theology and Doctrine? Summary: Spiritual growth occurs as a humble heart seeks God, receives enlightenment from God, grows in faith, hope and love, and experiences transformation by the power of the Holy Spirit while maintaining strong relationships with others in the body of Christ. This book presents lamad standards for teachers and curriculum writers who are seeking to develop revelation-based training materials. Lamad standards require that one's books and teaching style cause the student to personally encounter the subject matter at hand, and then interact with the Holy Spirit concerning this subject matter while working the truths out in real life situations. This is much different than what is expected in a typical western academic classroom, where the focus is primarily on what is happening between the ears. This book lays out many lamad evaluation score sheets, with standards in the areas of being a lamad teacher, developing lamad textbooks and using a lamad teaching style. You will also learn how to develop a lamad lesson plan. Designed for writers and educators. FINALLY - A Spirit-Anointed Epistemology! A system of knowing for the Spirit-filled believer. A fresh moving of the Holy Spirit has been upon the Church of Jesus Christ for the last 100 years, since the Asuza Street Revival in 1902. In all that time the Spirit-filled community of believers (now numbering 27% of all Christendom), had yet to delineate an approach to learning which restored the Holy Spirit to His rightful place as the primary Teacher in our midst. Now, the Lamad Biblical Education Association has completed this marvelous feat. After 20 years of careful examination of the teaching style found in Scripture, they present to you the "Lamad Educational Style" which was used not only by Jesus with His disciples, but is found throughout all of Scripture. You can apply this to your home groups, Sunday school classes, pulpit preaching, Bible school courses, and especially to the training of your own children in your home! The Lamad Biblical Education Association has not only prepared for you a 40-page introductory document on what the lamad educational style is, but they have provided courses which lead to "Lamad Teacher Certification." Those who successfully complete 200+ hours of training in Lamad Educational Principles may receive certification as a "Lamad Teacher." This certificate is suitable for framing and will let all who see it know that you have received training that has equipped you to release the anointing of the Holy Spirit as you teach, preach and train. We invite you to read this classic manuscript today! The restoration of the Lamad Educational Style is an earthquake in the field of education. Be one of the first to catch hold of this new Spirit-filled style of training. And if you have already been relying on the Holy Spirit as you teach, learn how you can deepen your dependence upon Him as you press forward in your call to disciple all nations. 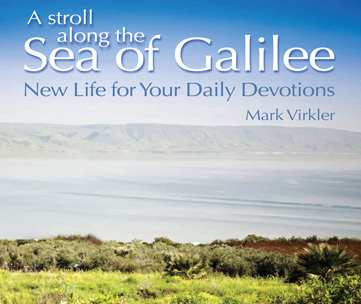 The four co-authors of this manual are: Dr. Mark Virkler, Rev. Maurice Fuller, Dr. Gary Greig and Dr. Ed Kuhn. 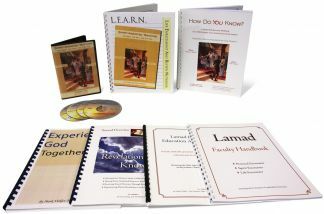 Lots of additional Lamad materials are available here! "I enjoyed the fast pace and the down-to-earth attitude. Mark Virkler is very funny, articulate, natural, and approachable. That makes learning easier. The subject matter is exciting. It’s fun to stop and actually take a look at things that we so often take for granted." "It was real and relevant to life—not just theory." "I thoroughly enjoyed this seminar; it brought forth for me amazing paradigm shifts!" "Good stuff! What a life-changing and challenging course!" "For me it was as though lights were being continually turned on." God is transforming ives in the West African nation of Togo through Gbadamassi Hansinde Inoussa. We see pictures below of their 4th annual graduation of students taking Christian Leadership University courses. Fourteen students received their Associate degrees! We thank the Lord for the opportunity to touch this nation. If you want to plant a financial seed into spreading the Communion With God message into missions territories, you can do so by clicking here. You've been asking for it and it's finally here! I know it is long overdue but we are happy to announce that we now have an amazing product catalog available! Its 32 pages are full color and glossy listing all of the resources offered through Communion With God Ministries. You can view and download a PDF version of it here. Residents of the USA may request a catalog when they place an order or by using the contact form here, and outside the USA, you're welcome to request a copy at checkout when you place an order to be shipped to you. It is the summary of more than 30 years of work by Mark and Patti Virkler, and contains all their books as well as books by others which include two-way journaling. Christian Leadership University offers its curriculum to churches around the world, equipping them to train leaders in their own communities. We are thrilled to have hundreds of churches using our revelation-based curriculum from many nations around the globe. Below is a testimony of a recent graduation of one of these Bible schools in Togo.